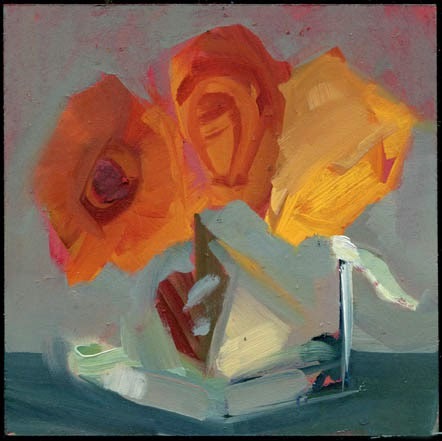 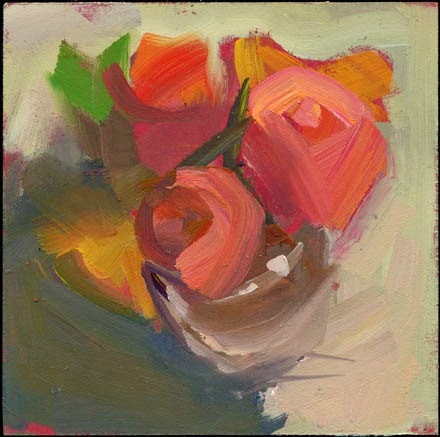 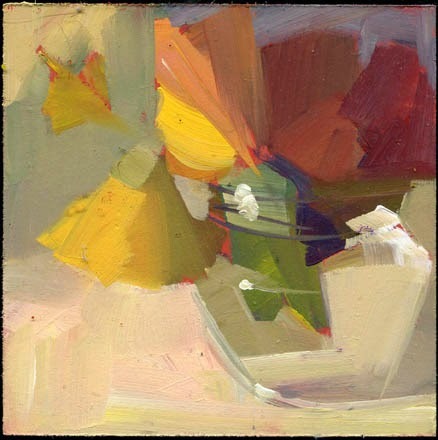 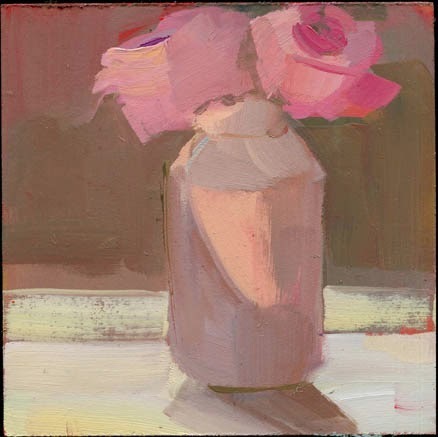 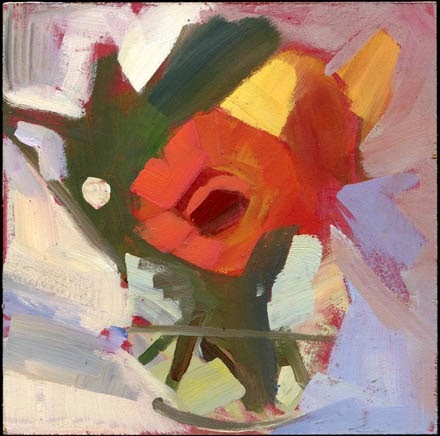 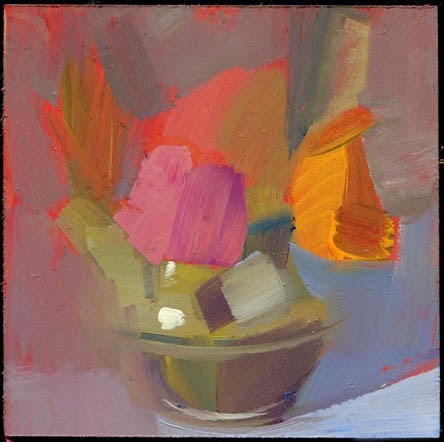 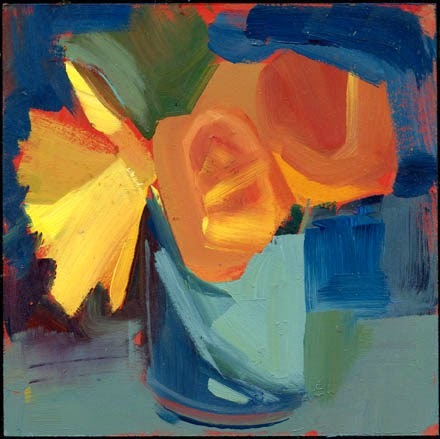 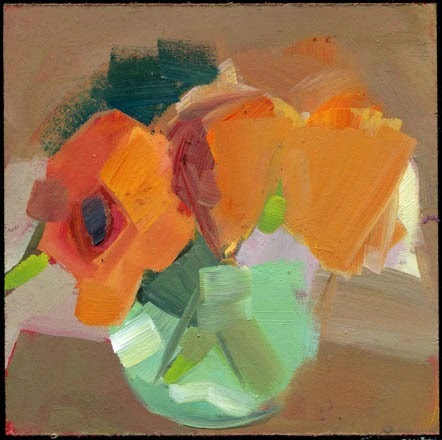 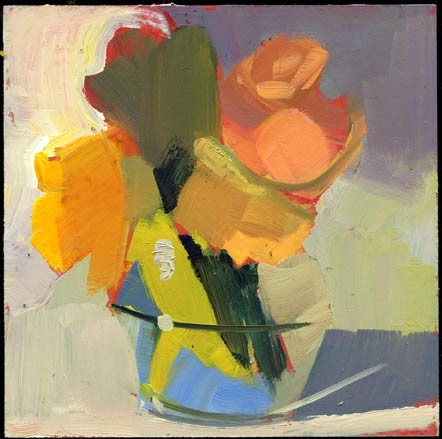 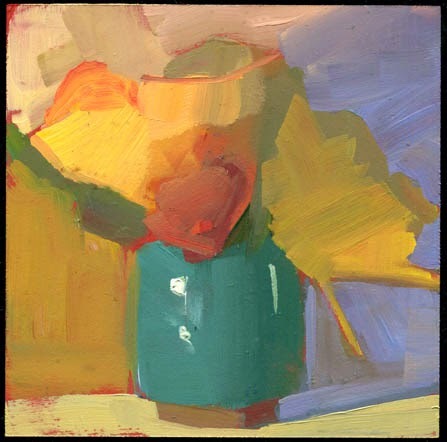 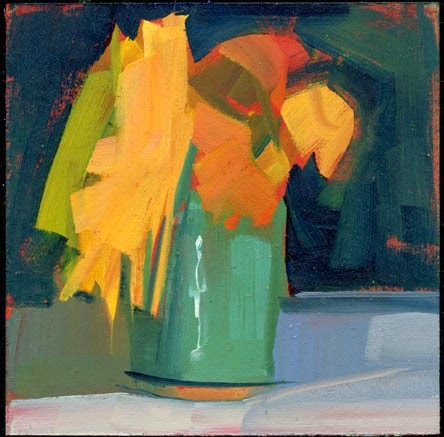 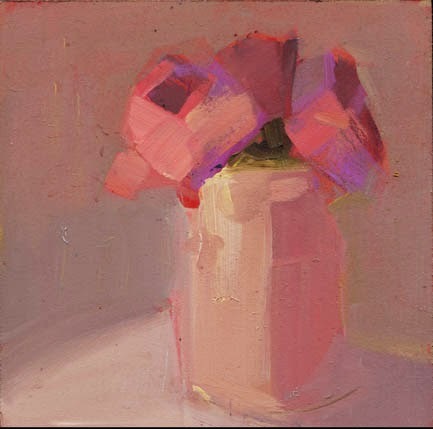 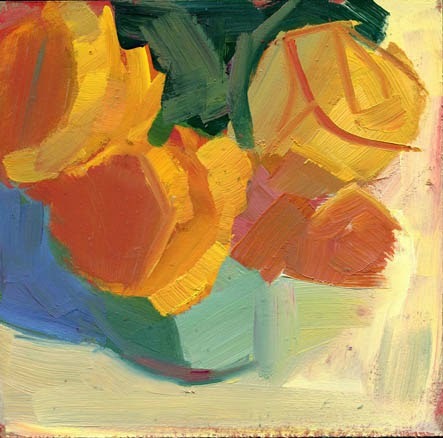 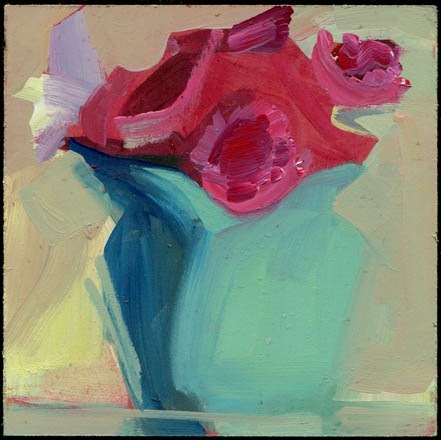 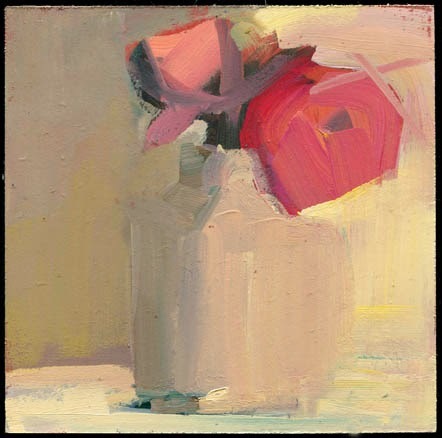 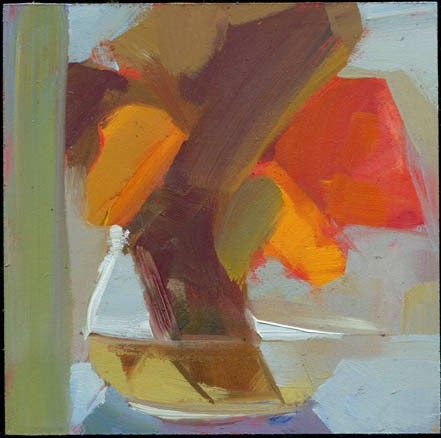 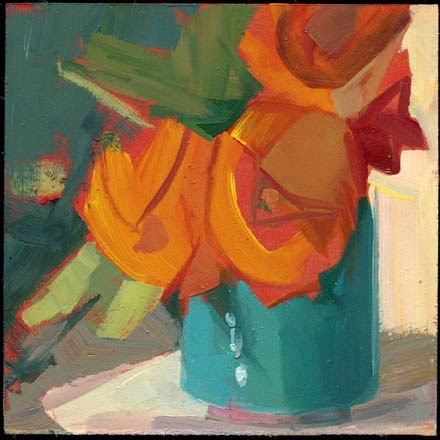 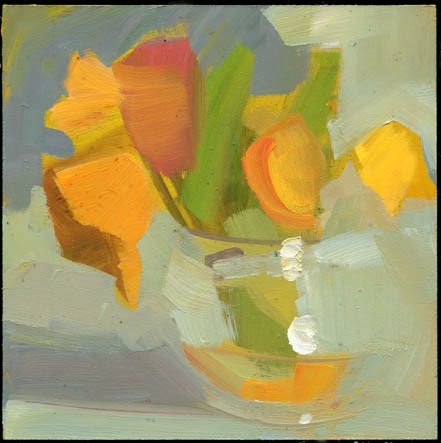 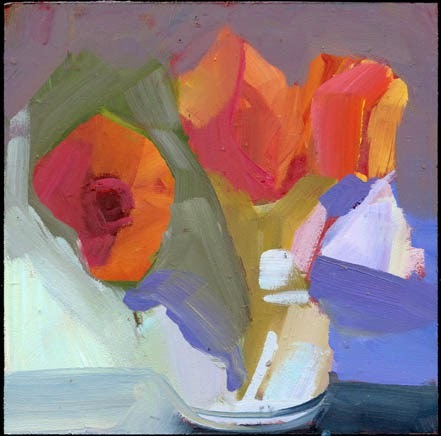 sold still life, 6" x 6"
Other News: It's Brie the dog's birthday. 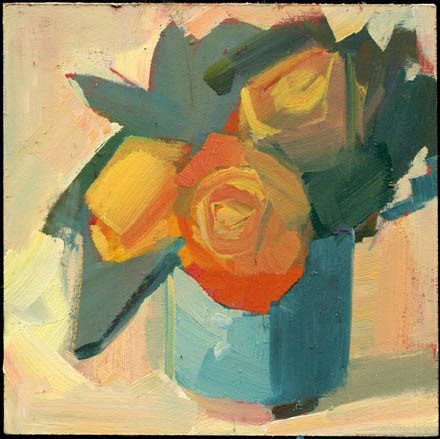 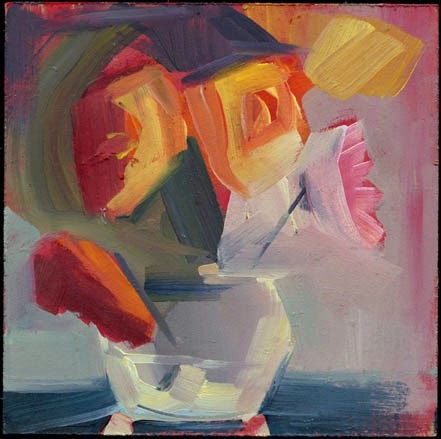 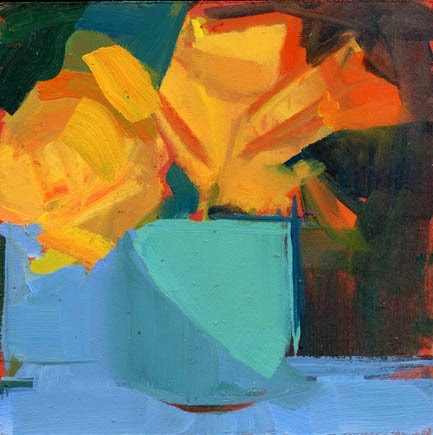 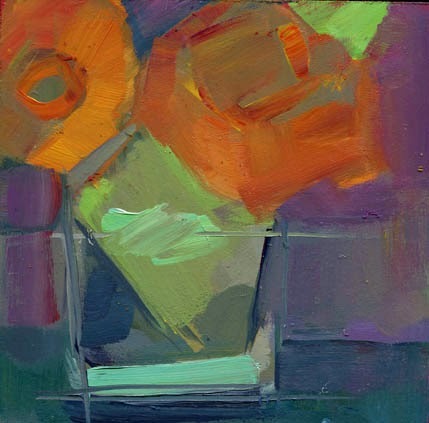 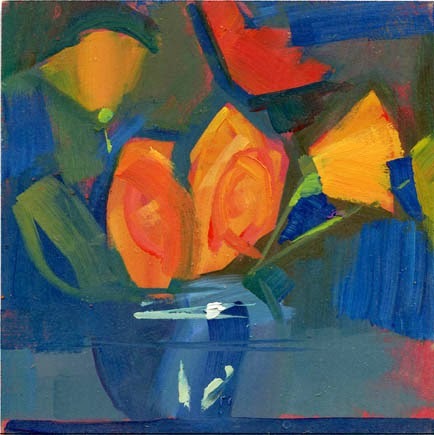 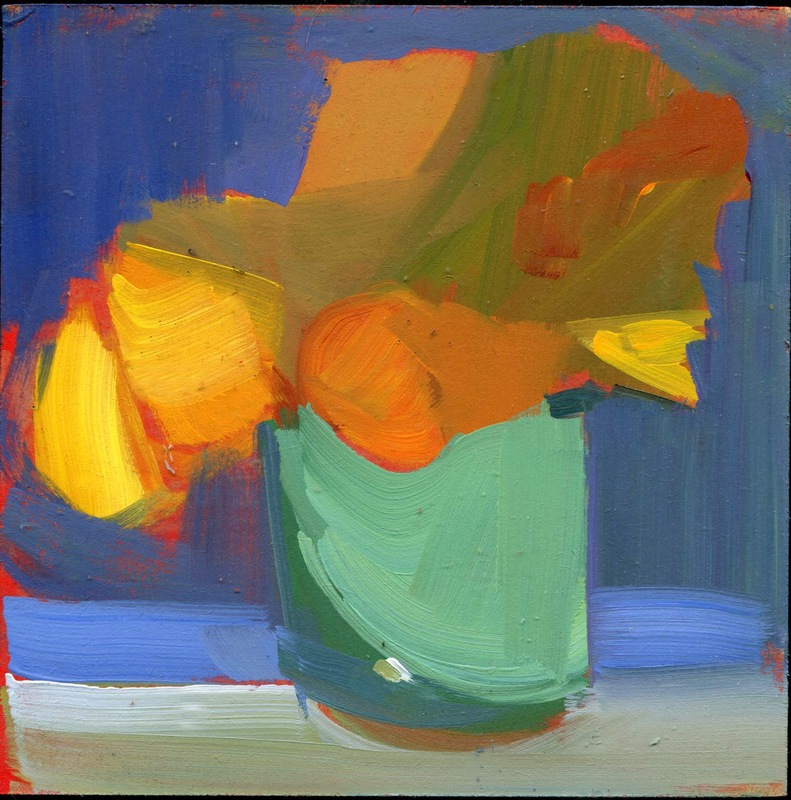 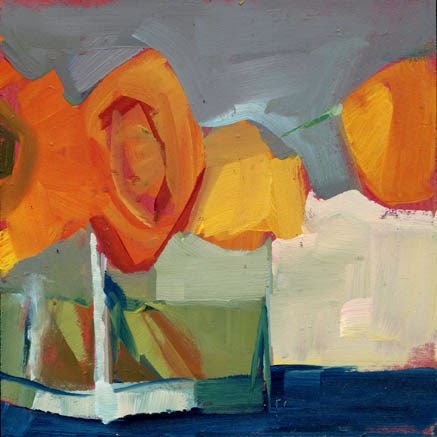 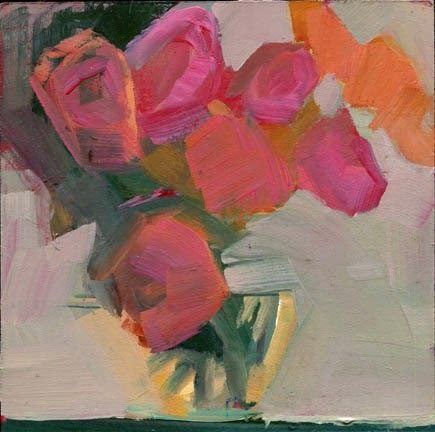 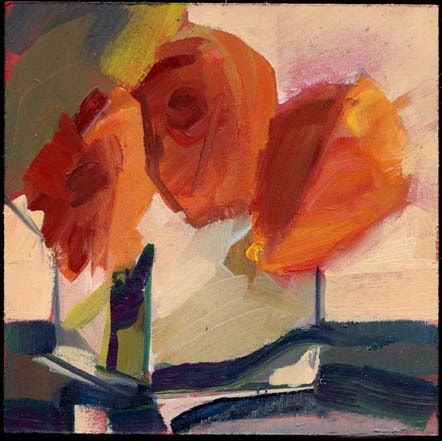 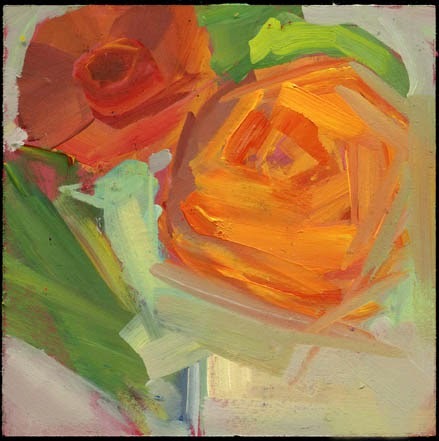 sold still flowers, acrylic, 6" x 6"
I attended a workshop hosted by the Arts & Business Council today. 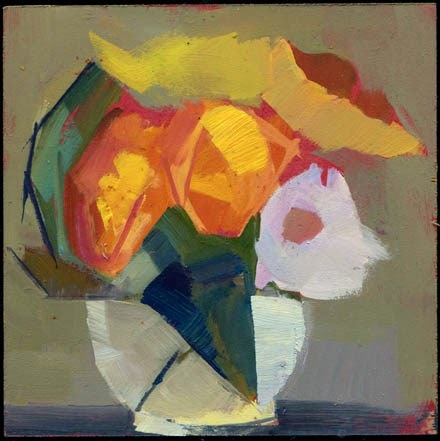 The workshop featured tips on preparing and presenting work for gallery exhibits and review. 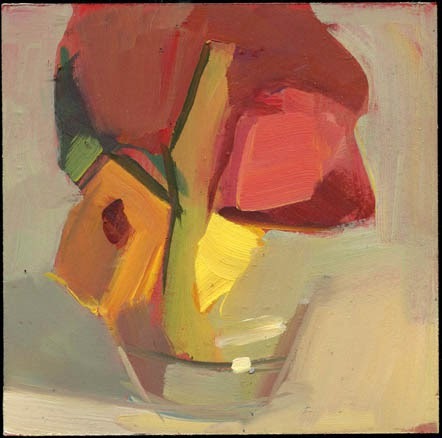 After the workshop I went to an opening at Alpha Gallery featuring Jon Imber's paintings.